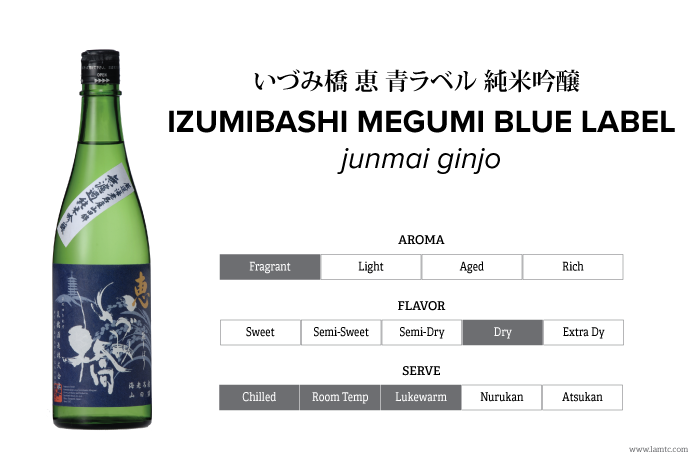 This is a bold, dry Junmai Ginjo made using local Yamadanishiki rice grown in Kanagawa Prefecture. Carefully designed to pair with all kinds of food, it can be enjoyed in a wide range of temperatures. Brewery: Izumibashi Sake Brewery Co., Ltd.